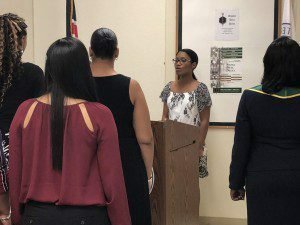 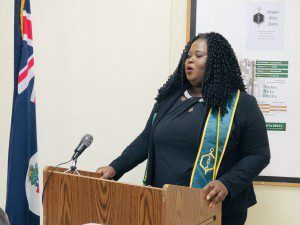 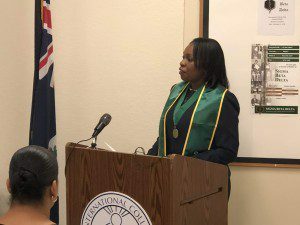 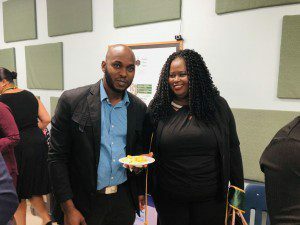 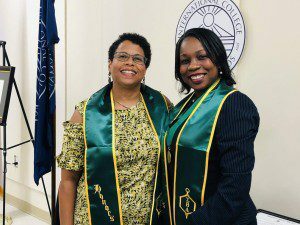 ICCI graduate and Human Resource Manager for the Cayman Islands Postal service Kimari Fletcher-Barrett delivered the key note address at this year’s Sigma Deta Delta Induction ceremony at the International College of the Cayman Islands. 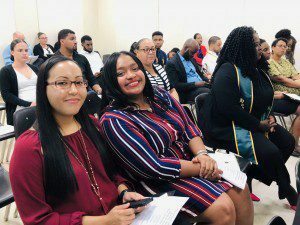 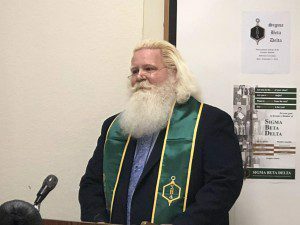 This year’s celebration saw the inductions of six (6) new students and one (1) new honorary member into its prestigious Society Chapter on Saturday, November 3, 2018. 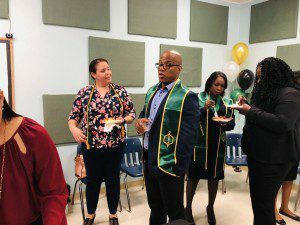 Sigma Beta Delta is an honor society which aims to recognize and promote achievement in business, management and administration programs and to promote personal and professional improvement and service to humankind. 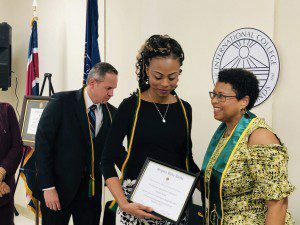 Along with Mrs. Fletcher-Barrett’s charge to,” rise to the occasion for which you have been called!! 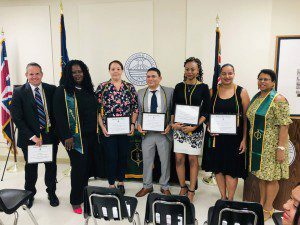 To serve humankind and to be a world-changer”, the inductees also received an invitation for a lifetime membership to the honor society. 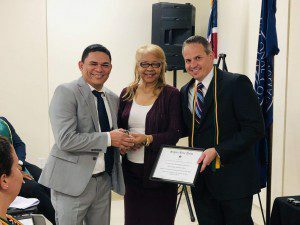 Mr. Sharmori Richardson, one of the inductees was also awarded the 2018 Sigma Beta Delta Fellowship cash Award: One of only 10 awarded each year. 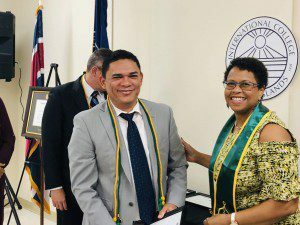 This scholarship will also assist Mr. Richardson in funding his Master’s studies in Accounting. 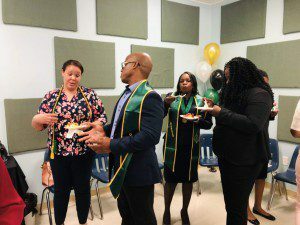 Sigma Beta Delta was created in 1994 as a business honor society for accredited institutions that offer baccalaureate and graduate degrees in business, management, and administration. 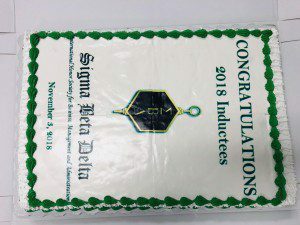 Since that time, Sigma Beta Delta has established over 425 chapters in 45 states and internationally, inducting more than 85,000 members. 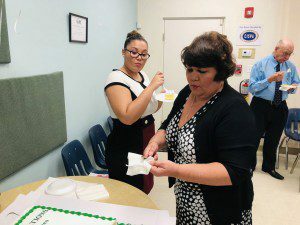 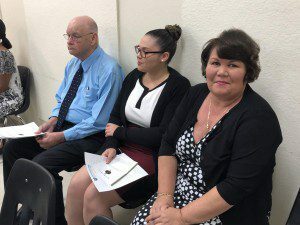 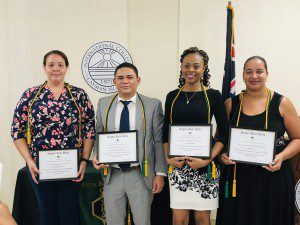 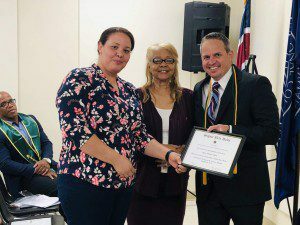 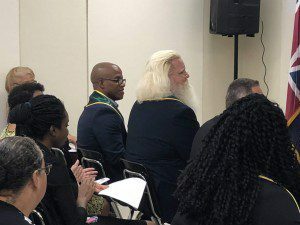 In June of 2016, the International College of the Cayman Islands was selected to be a chapter of the Sigma Beta Delta Honor Society, the first university-level international academic honor society to be established at ICCI, and is believed to be the first in the Cayman Islands. 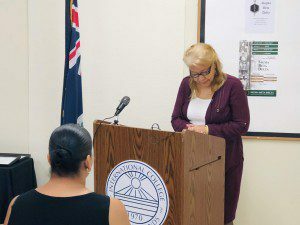 Member of the ICCI Board of Trustees and Chair of the Finance Committee. 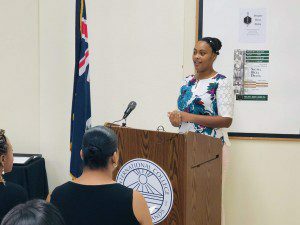 The key requirements considered for candidacy included: For undergraduates in the Bachelor of Science in Business the student must have at least a 3.0 GPA and be in the top 20% of the class. 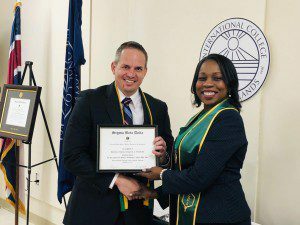 For transfer students, the student would have to complete 50% of their education at ICCI. 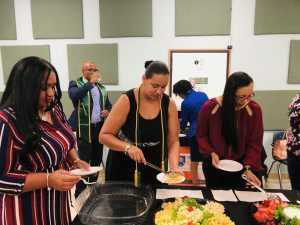 For MBA and Masters of Science in Human Resources the requirements include at least a 3.5 GPA and be at the top 20% of the class. 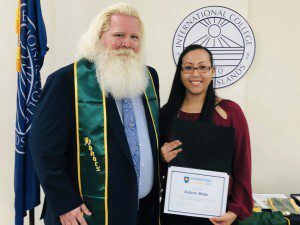 In addition, any graduate student who was a transfer student must have completed 50% of their studies at ICCI.